The Hall-Scott engine company was one of many aircraft engine producers before and shortly after the First World War. They produced a number of engine types and were involved by design and production of the Liberty engine. A further development of the Hall-Scott A-5 engine was the L-6. In the L-6, many parts of the Liberty engine were used. It produced 200 HP and was used in a converted De Havilland DH-4: the twin engined L.W.F. J-2. At least one Fokker D.VII was loaned or given by the Air Service to the Hall-Scott engine company to adapt it for use of their 200 HP L-6 engine. The aircraft was converted to two-seater configuration and had the text HALL SCOTT beneath the underwing and the text ‘GERMAN FOKKER D-VII TYPE COMBAT PLANE HALL-SCOTT L-6 200 HP POWERPLANT EXPERIMENTAL & RESEARCH” on one side of the fuselage. On another picture the same aircraft can be seen with what seems to be an extra fuel tank and the text ‘HALL-SCOTT Fokker L-6 ENGINE’ on the other side of the fuselage. Fokker D-VII with Hall-Scott L-6 engine. Note the fuel tank. 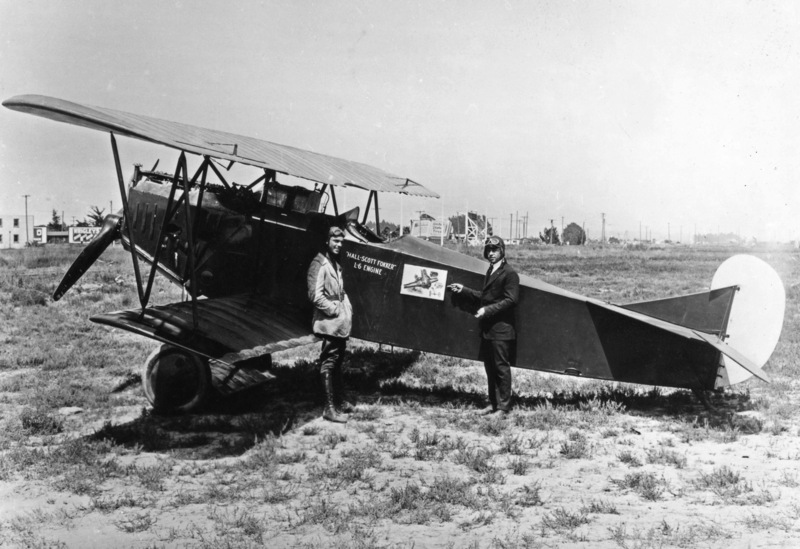 At least one Fokker D.VII with the Hall-Scott L6 engine was used by the US Army Air Service, this was registered as ‘AS8530’. Besides this, there was a large white ‘1’ painted on at least one side of the fuselage. Further information is unknown.